Charades is a word/phrase guessing game. It is an acting game in which one player acts out a word or phrase, and his or her team guesses the answer. The specific rules people use to play Charades varies a bit from person to person, but here is a step-by-step guide on how to play charades. Split everyone up into two (or more) teams. Print out the Charades Clues on this site and place the slips of paper into a bowl. Next, decide the playing order for the players on the team. It is usually easiest to just go down the line (if you are all sitting on a couch). Usually, one team on one side of the room, the other team sitting opposite, or a similar arrangement. Decide which team goes first. The secret phrase is revealed to one member of the first team, the “actor”, but kept secret from the remainder of the first team, the “guessers”. The ‘actor’ then stands up and acts out the “secret” word or phrase for his/her own team. If the team can correctly identify the clue within the time limit, they get a point. Set the timer for one minute if you’re guessing one clue at a time. Sometimes players try to get as many as they can in the pre-determined time limit. Sometimes you can get one clue guessed within a minute, sometimes more. Seeing how many you can get in a minute is not as advanced as it may sound. It actually creates more urgency and…more fun! Just keep track of the points. Time can vary. Setting the timer to 2 minutes is common when playing multiple clues. The performing player is given a chance to review the (first) clue before the timekeeper from the second team starts the timer. After the time is up, or the clue has been guessed, the next team has its turn, and you simply repeat from there till the final score is reached. The final score should be determined before the game. Most play to 21 then start again. Review the charades gestures and hand signals and invent any others you want to use. There are no hard and fast rules. Select a maximum time limit for each turn. One or two minutes usually works well (depending on the number of players). Select a timekeeper & scorekeeper from each team. Remember, the person acting out the charade can’t speak or make any kind of sound, and can’t point at objects or people in the room to give clues. Other than that it can be a free-for-all! (Keep in mind, these are all suggested rules. For example, some people prefer to allow pointing). Movie – Pretend to crank an old-fashioned movie camera. TV – Draw a rectangle in the air to outline a TV screen. Book – Unfold your hands as if they were a book. A Thing – Hold your hands out, palms up, as if holding a ‘thing’. An Event – Point to your wrist as if you’re wearing a watch. Quotation or Phrase – Make air-quotes (quotation marks in the air with index fingers and middle fingers). Location – Make a circle with one hand, then point to it, as if pointing to a dot on a map. If any one of the guessers says the correct word or phrase within the time limit , their team gets the point! Make sure your guessers are always guessing. Normally, when a player starts to ‘act’ out a clue, they should start by indicating how many words the phrase is, and then act out each word at a time. The ‘Actor’ indicates to the other players how many words are in the phrase by holding up their fingers. If the phrase is, ‘Singing in the Rain‘, the actor would hold up 4 fingers, to indicate 4 words. 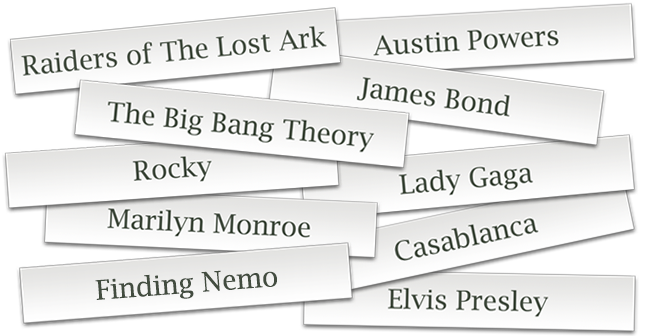 The players who are guessing should respond by saying the number of words aloud, “4 words”. Next, if the actor wants to act out the first word of the phrase ‘Singing‘, then he/she should hold up 1 finger, to indicate they want to act out the first word. The players who are guessing should respond by saying ‘1st word’. Which word you’re working on: Hold up the number of fingers again. Which syllable you’re working on: Lay the number of fingers on your arm again. Common small words are signed by holding the index finger and thumb close together, but not touching, as if holding something very small. Then the players try to guess the small word by yelling out all the ‘small words’ they can think of. Such as: the, and, an, am, be, it, on, to, of…etc. This almost always means “rhymes with.” (But doesn’t always have to rhyme) Gesture: Tug on earlobe. 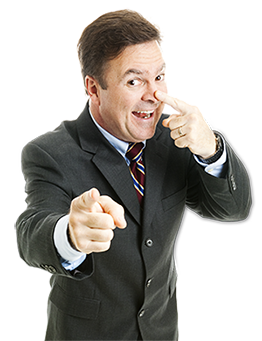 “On the nose” (when someone calls out a correct word): point at your nose with one hand, while pointing at the person with your other hand. Make sure that all players understand that gesture! The idea is, ‘nodding’ means on the right track, ‘On The Nose’ means ‘lock it in’, that word is absolutely correct. Shorter version of the word: Do a “karate chop” with your hand on your other hand. Like chopping it in half. You’re on the right track: Wave both hands toward yourself, palms toward you to keep the guesses coming. More Specific: Tap your fist into your other hand’s palm. Back up to your earlier guess: Point to that guesser, & step backward. Past tense: Move hand backward over shoulder. Use ‘sounds like’ or break the words into syllables. Remember, good guessing is as important as good acting. Players should ALWAYS be guessing. Don’t forget to stretch or shorten words: Stretch ‘walk’ to ‘walking’. Good guessers can understand you stretching ‘ground’ to ‘groundhog’ or ‘tie’ to ‘titanic’. Or shorten ‘singing’ to ‘sing’. Think from the guessers’ perspective. Acting out the most important word might inspire a guess of the whole phrase. The actor may not make any sounds or lip movements. The actor cannot point out at any of the objects present in the scene. Meaning if the word ‘table’ is in the clue, the actor must act out a ‘table’. They cannot point to a table. But they CAN point to anything on their body. If the word ‘shoe’ is in the clue, they can point to their own shoe. Or if the word ‘hair’ is in The title they can touch their own hair. 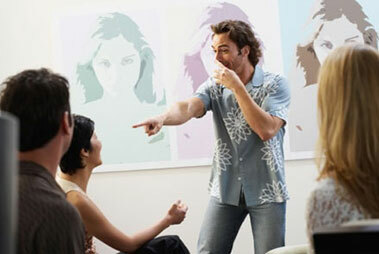 The actor is allowed to make any gestures he or she can possibly think of to act out the clue. The teams alternate until each team member has had an opportunity to be the actor. Since so many rules can vary, clarifying all the rules before the game begins can avoid problems later. Keep the rules simple when you play with kids! With a bit of help, even kids as young as three can play. And remember kids will simply act out the “entire concept” of the phrase at once. Sometimes referred to as ‘Whole Thing’. Children who are four years and older can easily participate in charades. The younger the children participating, the easier the topics should be. 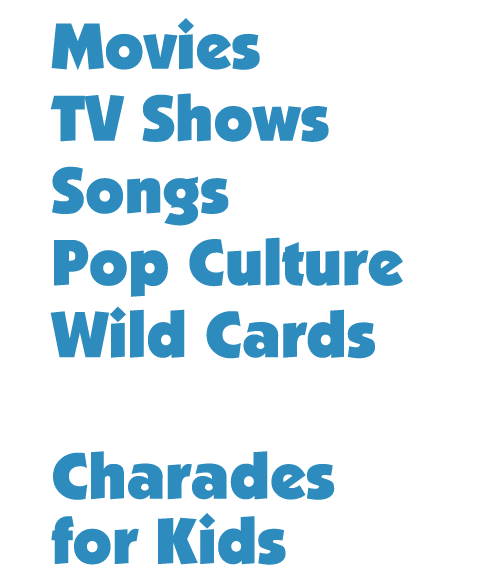 The Charades for Kids Download on our site has great, easy clues, for kids to act out. Keep in Mind: If you have younger kids, however, you can pair them up with older children or adults so that they don’t get frustrated if they don’t get many of the guesses. 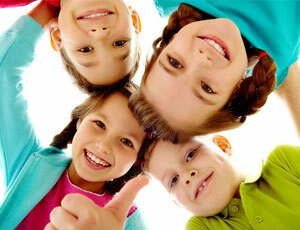 Check it out: Our Kids Charades page. Approved & Tested Charades Words & Ideas to get your game on!